If you want to build a meaningful and lucrative career, you’re going to have to learn how to feel confident talking to your boss about your ambitions and asking for the support you need to progress. No matter how necessary, though, that conversation can make even the most outgoing of us feel a little weak in the knees. After all, tooting your own horn isn’t hugely comfortable. It’s true that asking for a promotion is quite nerve-wracking. However, you have to put yourself “out there” to have a chance at progressing. In today’s competitive job market, the chances of someone tapping you on the shoulder and giving your career an unsolicited boost are slim. The good news is that great managers know how important it is to have a team interested in growing and developing. 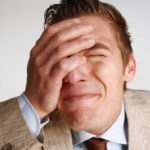 Employees who aren’t passionate about or challenged by their jobs don’t make for the happiest, most productive workers. A good upper level team recognizes the power satisfied employees can have in a company. And they want to keep everyone motivated. For this reason, you might just make your boss’s day by asking him or her to push you into a new role within your team. 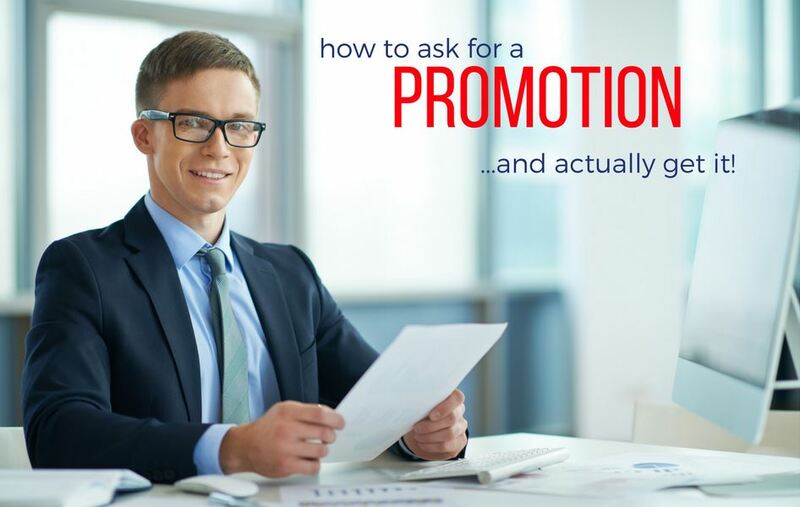 With that said, here’s how to ask for that deserved promotion… and actually get it. Although your primary driver for wanting a promotion is probably money, you should be able to articulate other reasons, too. Your manager will want to know why you are the perfect person for the new role. That answer is more about what you’ll bring to the party rather than what a promotion will do for you personally. By explaining how you can contribute to the business, and how the position fits into your overall career game plan, you paint a picture of how your professional development can help grow the business and vice versa. How does the role support your career plan? What skills and experience do you bring to the new role, and what gaps are there in your development to-date? What is the big picture? Where would you like to be in five or ten years, and how does this position support that? What skills does it help you develop, both ‘hard’ business skills and ‘soft’ behavioral traits? What unique attributes set you up for success in this position? Think about questions like these in advance. It will enable you to make a far more convincing pitch to your boss when the time comes. This might be a very simple step. Do you already have an annual review, where you can talk to your boss about a possible promotion? If so, that’s the perfect time to have a broad discussion about the career options open to you and any specific roles which might be worth considering. If, however, you can’t take advantage of a regular meeting with your manager, then it’s worth booking a conversation in advance. This is better than taking the boss by surprise as you pass in the hallway! It’s a good idea to explain by email in advance that you want to discover your career plans, so your manager can be prepared. Have ideas, questions, and an open mind. As well as any roles which are advertised right now, think about other changes in the company and team. Do opportunities naturally arise due to movement of other people, for example? By planting the seeds of an idea early, you’ll be at the front of management’s mind when the jobs actually become vacant. If you’re talking to your manager about promotion, think about setting out a business case. Keep a record of your achievements — on a weekly or monthly basis — to help you articulate them when needed. Not only does this serve as a useful prompt for conversations with your boss, it’s a great confidence boost to look back and remember all you’ve achieved at work. When you’re recording things, think about what you’ve done but also the impact you’ve had. Providing numbers-driven business metrics is a very powerful argument. Think about how you can present your achievements most effectively. For example, you could give a percent increase in team productivity due to implementing ideas you suggested. Or show how your proposals have added dollars to the profitability of your department. If you work in a customer-facing role, showing a reduction in complaints or an increase in speed of issue resolution is another great angle. If you have objectives agreed upon with your manager on a periodic or annual basis, these are a great place to start. Record all the steps you take toward hitting your targets, so you can explain later what you did (and how). Along with a business case showing your impact on the business, you should also give suggestions about how your promotion could work in practice. If there’s an obvious vacant position, that’s a great place to start. However, your boss will be conscious of the domino effect this might have on your team. You can help smooth the way by suggesting who might backfill your current role, were you to move up, or provide temporary support during the transition. If you know there will be skill gaps that need to be tackled, for either you or your successor, present ideas about how you could do that in a way that helps everyone succeed. Even if there isn’t an obvious position vacant for you to be promoted into right now, it can be a healthy discussion to have with your boss. It’s a great way to make sure he’s clear on your ambitions. You could talk through what role or roles could be a good fit for you to grow into. You might brainstorm together who your successors could be, and how you can help them to be ready to take your role when you’re promoted out. It’s smart to ask how you can plug any skill or experience gaps to make yourself ready for promotion. Ask, for example, what extra out-of-role experience you can get prior to promotion, such as working with other teams or taking on project work. Finally, think about what your network can do to support you, and ask your contacts directly for their help. Once you’re in the position of negotiating a promotion, you need to get an idea of a fair salary and package for the role. Your business might have transparent salary scales which you can refer to, or an openly advertised position could give a salary banding as part of the ad. If you can’t find details of the salary, you’ll have to ask as part of your conversation with your boss. Compare this with market information from a site such as glassdoor.com to know if it’s a fair remuneration for the role type. If you feel you need to push the salary up as part of the negotiations, remember that as well as base pay, you could ask for better terms such as increased vacation, flexible working or a second, deferred raise based on your performance in the new position. When you’re thinking about promotion, it pays to keep an open mind. Careers are seldom linear. 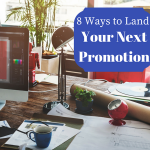 A direct promotion isn’t always the only way to keep working towards fulfilling your dreams. Sometimes opportunities to step up aren’t obvious. Maybe the next natural role isn’t available, but there’s an interesting lateral move or a project that stretches and develops you. In that case, it’s often worth taking the chance and grabbing some extra experience, even if it’s not a linear promotion. One thing can lead to another, and you never know where it’ll end up. Plus, any new skills or experience show you’re willing to stretch yourself and able to flexibly support the business. Once you’ve had an initial conversation with your manager about promotion, it’s important to agree on the next steps. Write down details of your conversation and determine when you’ll follow up with your boss. This might be a check-in after a defined period of time, or after you’ve completed a certain agreed step towards advancement. The first conversation is likely to be the most tricky. After that, you could find that informal chats are enough to help you stay on your boss’ radar, so they’re helping you keep a look out for a new job. Nonetheless, it’s valuable to agree on a review meeting. Three months is a good place to start if there’s no obvious role on the horizon. That way, you have a date to work to and can continue to push your own personal development over that time. In an ideal world, your boss would automatically recognize hard work and competence. It’s seldom that simple, though. The truth is that if you want a promotion, you’re going to have to ask. Plus, your manager isn’t a mind reader. Although a good boss will have your best interests in mind, being explicit about the fact you want to progress within the business is the only way to make sure you’re on the same page. How have you dealt with the discomfort of asking for a raise or a promotion? What was the outcome? It is the manager’s job to make sure that every employee in his team is well taken care and there is a career path defined for them. I would not mind approaching or speaking to my manager if they show flexibility to talk. In 7 plus years I worked in a company in the US there were obvious chances of promotion and I brought that upto my manager in the yearly appraisals. He did not show good responses.Of course he himself left the organization voluntarily/involuntarily I do not know. If I were a manager I would hold discussions with my reportees every 3 months to see if how I can help them in their career growth within my organization. That I consider to be one of my fundamental duties as a manager. I managed a company with hundreds of employees ranging from highly skilled and highly paid union hourly staff to engineers, accountants and information technology experts. I set the pay and decided the promotions for each of these along with input from their immediate supervisor. I also negotiated my salary and promotions from entry level engineer to VP and General Manager of the entire company. Out of all that the thing that I found most effective was creating a fear of losing talent in the minds of my superiors, or in the case of my subordinates creating that fear in me. This was most effectively done by sharing job offers made via recruiters trying to hire key staff away. It was never confrontational, I or they would just share that an offer of 30% higher compensation and a promotion was in play. Generally then I’d have to sit back and ponder what life would be like if I had to replace the person. Or my boss had to go through that exercise about me. It worked 100% of the time for my key people and for me but rarely worked for easily replaced or average performers. It even worked for the union in negotiations if they could show they were below local scale. Employers only look at the cost of replacement versus the cost of complying with your request. The cost of replacement is a function of how outstanding you are. So to make this work you can’t be just average and you can’t be in a non-vital slot. You have to be seen as so good and so important to the company that it would be nearly impossible to replace you quickly and that if it could be done it would surely cost as much as you are asking. Then generally companies do the rational thing. All other strategies can fail. Even proving you are worth it won’t work if you can be easily replaced. Or if you aren’t really that key to the entire company’s success.